In fact, in many ways the two are so entwined it is hard to separate them. Wine tourism, of course, is simply the visitation of wine regions by travelers. 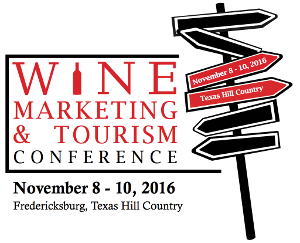 From an industry conference perspective, our goal has always been to provide valuable advice on how to grow and improve one’s own wine tourism offering. And growing wine tourism is all about effective marketing. To get involved with the conference, you should definitely plan to attend! You can also suggest a topic to present if you wish – we will have a Call for Content next month.